Whitman Publishing, LLC, $29.95. Hardcover, 352 Pages, full color. 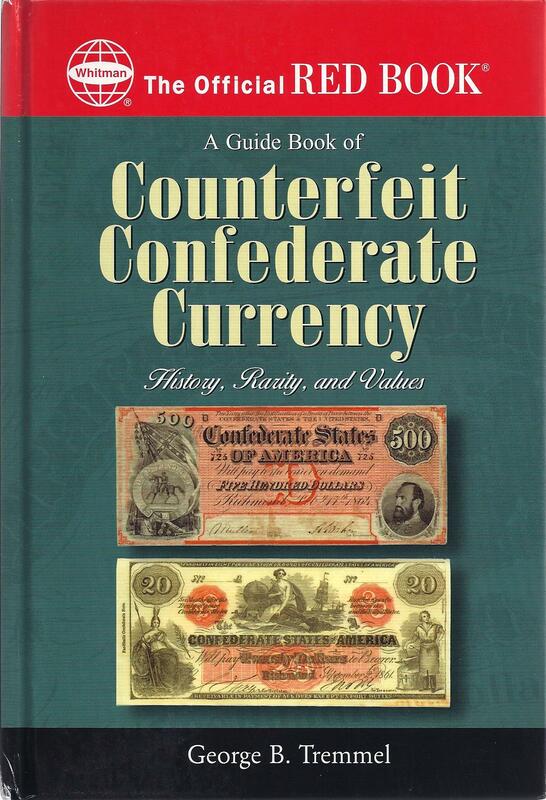 In his new Guide Book of Counterfeit Confederate Currency, George Tremmel updates his ground-breaking note-by-note research, and expands into counterfeit bonds, shinplasters, and Treasury note sheets. Along the way he immerses the reader in an engaging history of the events and people involved in the production and passing of counterfeits during the Civil War, and the countermeasures the Confederate Treasury Department took to protect its paper money. U.S. Dollars: Genuine or Counterfeit?